Our economy line of spring scissors are perfect for students who are doing small animal surgeries or dissection in a research laboratory. 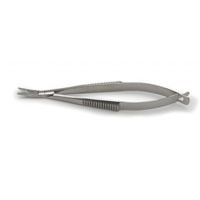 Our student spring scissors are manufactured from hardened surgical grade stainless steel. They are perfect for classroom use or as disposable instruments.